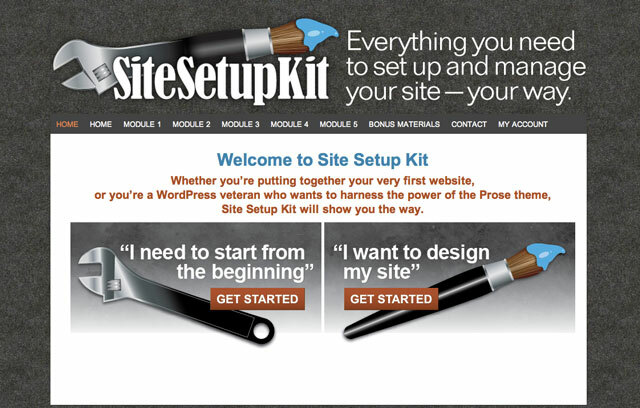 If you’re a small business owner deciding between hiring someone to design and set up your website, or taking a course to do it yourself, this review of Wendy Cholbi and Pamela Wilson’s Site Setup Kit should help. It’s an online tutorial that can either teach you how to go from nothing (no website, no hosting) to a well-designed and branded website (using the Prose theme on Genesis framework – included in the cost!). 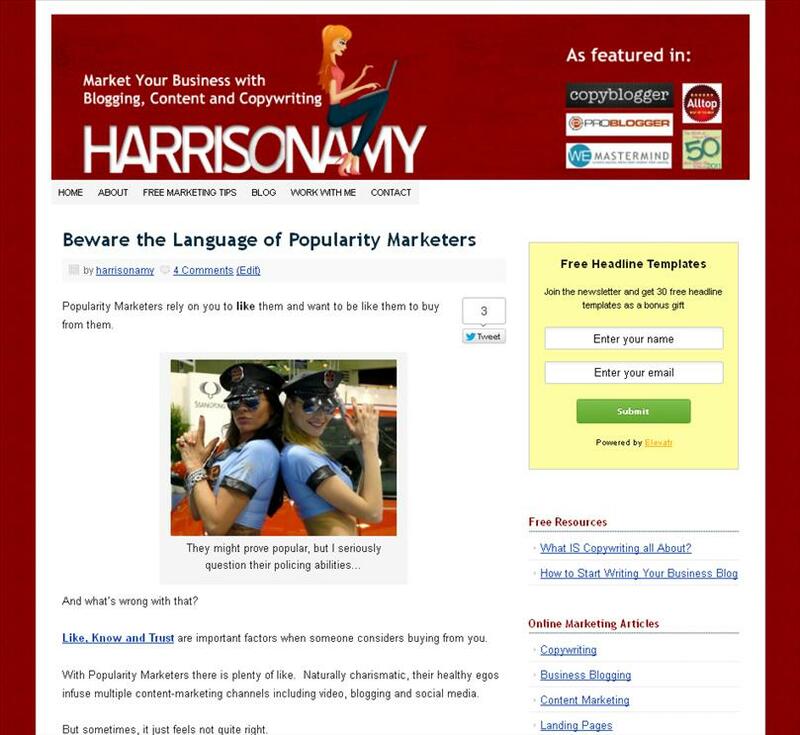 Or (as I did) you can use it to give your existing website a face lift. An online tutorial (and very useful forum) for setting up (from nothing) and designing a good-looking WordPress website on the Genesis Framework and the Prose child theme. 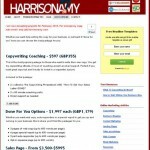 Small business owners who want an affordable, professional website but find graphic design and technology frustrating. Wendy Cholbi and Pamela Wilson. Wendy translates tech jargon so you can follow it easily, and Pamela delivers simple step-by-step design lessons that work even if you don’t think of yourself as artistic (I’m in that category). What level of ability do you need? I have zero design or coding skills, but I’m pretty good at following instructions. Wendy and Pamela spell out every single step in their tutorials. Their lessons are clear, easy to follow and tone of voice is personable. They don’t skip instructions because they assume you should know something, but they don’t patronise either. They are super friendly, helpful and passionate about helping business owners with this course. In a heartbeat. 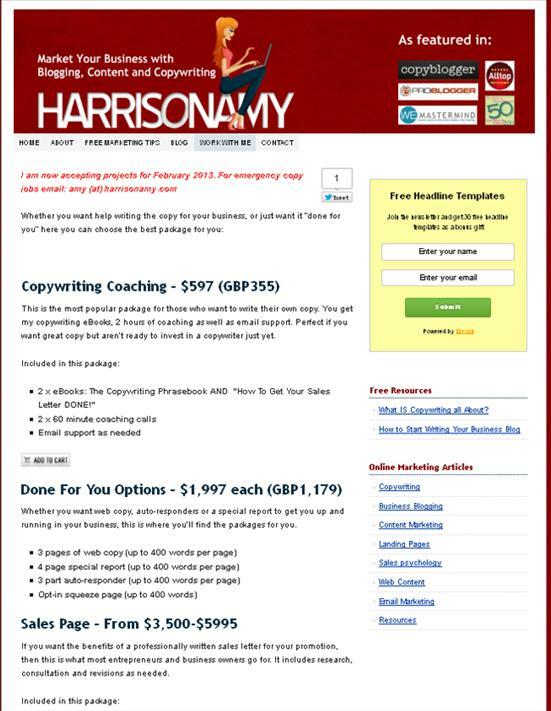 This is a very rare program in that after the very low investment in the program, you can get create a site that might otherwise cost you $1,000s for a designer to do. Also – one thing I loved about this was I could directly control the design and function. No back and forth emails to a designer or developer trying to explain what it was I wanted. I could create it all myself. $297, and currently they offer payment plans. Last year my website crippled my ability to publish regular content. My blog pages were difficult to read and I couldn’t create fast and polished pages for promotions and services. I had a custom design that I loved, but after 3 years of my own personal tweaking, my site was clunky, difficult to use and not-so-professional looking. I need to modify my website as my business evolves but something was going to break (and my brand would look shabby to prospects). I couldn’t give it a quick polish: I had to start again. It took me one day to transform my site from one of those circus cars where the door’s about to fall off, into what I think is a pretty neat run-around with improved design, usability and conversions. I wanted a static homepage rather than showing my blog posts. Now, even though you get Genesis and Prose as part of signing up to this, I’d already purchase those and had begun trying out free tutorials to see how far I could get (answer – not very far). This is only in the early days of my redesign, but already I’m seeing a greater consistency in design, and better way to present my content clearly and professionally. Wendy and Pamela really do start you from the beginning. I was pretty familiar with the WordPress dashboard, but I went through this module for anything I might have missed. Wendy and Pamela include images along with instructional text so that you can identify each part of the dashboard that is going to help you run your site. I also knew how to create pages and posts, but I could recognise that this module was really well laid out for someone with zero knowledge of these. I did find some new gems in their recommendations for widgets and plug-ins that I didn’t know about. Overall, perfect for newbies, and worth a quick recap if you’ve been using WordPress for a while. Because Wendy and Pamela personally use websites to run their businesses, the planning information is practical and just enough to get you up and running. I was also very impressed that the kit comes with 10 possible design styles, more than enough variation to find one to suit your business. 10 is just enough so you don’t get overwhelmed with choice. And with the level of customisation possible, it doesn’t matter how many people choose the same style as you, all the sites will look different. Now I’d noticed that WordPress had introduced something called custom menus and I had no idea how to use them. This module opened up a world of possibility with custom menus. By having someone take me through them step-by-step I have a solid understanding of how to get the best from them. I’ve used custom menus to change which sidebars are shown on certain pages (such as the homepage) and I also have the ability to have a dual navigation bar (one above and below my header image). As I’m still in the process of reshuffling site pages, I don’t need to use this just yet, but will know how to do it when I am! I was able to change the tagline very easily through a tutorial that Pamela delivers, and it’s something I would never have been able to do on my own. I could also move the logos of places I’ve been up into the previously wasted space of my header. The one thing I found a little tricky, is that creating a custom header comes before you choose the colours for your site. I already had mine, but if you’re starting out, I’d recommend choosing the site’s colour palette (in module 4) before you design your custom header image. Okay, this is the module where I saw the biggest changes. What surprised me most is how getting a few things very right when it comes to your design can transform the look and feel of your business website. It’s this module that makes your site unique. I loved choosing my colour palette, and it was amazing at how picking 5 simple colours could affect the design. You choose 2 main colours (mine are the deep red and dark blue) then 2 background colours (I have a light blue and a pale grey) and an accent colour (the yellow you see around my notice boxes and sign up forms). Wendy and Pamela show you how to choose your colours and decide where to use them (header text, link colour, subheadings etc). Getting this right made gave my site a more professional appearance. For me, this was worth it’s weight in gold. Everything started to work together. Before it had felt like one patch on top of another whenever I tried to get involve in designing something new for the site. This ability to really understand how design affect my branding has given me huge confidence in planning my marketing. There are plenty of bonus materials. The Prose cheat sheet maps how the dashboard controls links to your site design. If you want to tweak something, you can look at a layout of a website template and find out which dashboard setting controls it. Genius time saver. The style guide which logs all of your file names and colour codes so you have a quick reference to all of your foundation design elements which saves time and builds consistency when you’re designing any new materials. This is a high-quality, budget-friendly product. I use affiliate links, but if you want to purchase the product through a non-affiliate link you can do so here. I only recommend products I’ve used. This review shows you how the course helped me change the look and feel of my website, including before and after shots. Click here to register for the mini-email course. To register for this free class at a time that suits you, click here. In short, I highly recommend this resource. Like I say, it took me a day to really turn my site around, with a few more hours here and there tinkering and tweaking. Increased productivity – creating a new page of web content or changing the navigation doesn’t take as long as it used to. 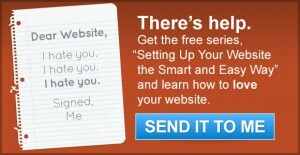 Overall this is an excellent resource to have if you are a small business owner in charge of your site. If you’re someone who wants to keep control of the look and feel of your site, but don’t want to spend days lost in the frustration of trying to make graphics or technology work, I’m confident you will love this.